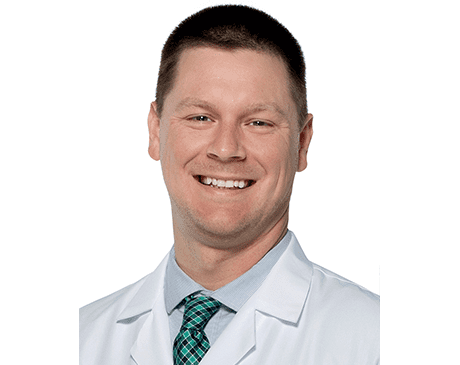 Dr. Christopher Hood is the newest foot and ankle surgeon of Neuhaus Foot and Ankle, joining August 2018. Dr. Hood’s full real name is Christopher Robin Hood JR. He thanks his parents for this. Hood CR, Cornell R, Greenfield B. Liquid adhesive contact dermatitis after bunionectomy: a case report and literature review.J Foot Ankle Surg. 2016; 55(1): 209-214. Hood CR, Miller JR. Post traumatic hallux valgus – a rupture of the medial collateral ligament.Foot Ankle Online Journal. 2016; 9(1):3. Hood CR, Miller JR. The triad of osteobiology – rehydrating calcium phosphate with bone marrow aspirate concentrate for the treatment of bone marrow lesions.Foot and Ankle Online Journal. 2016; 9(1):11. Hood CR, Samuel DE. Hematogenous osteomyelitis in an adult: from axilla to metatarsal – a case report.Clinical Research in Foot and Ankle. 2016; 4(1-185):1-5. Hood CR, Blacklidge DK, Hoffman SJ. Diverging dual intramedullary kirschner wire technique for arthrodesis of the proximal interphalanageal joint in hammertoe correction.Foot and Ankle Specialist. 2016; 9(5): 432-437. Hood CR, Miller JR. The rare lesser metatarsal bipartite sesamoid – a case report and literature review.JAPMA. 2016; 106 (No. sp1): 8-8. Hood CR, Hoffman SM, Miller JM. Lateral column of the foot arthroplasty with interpositional fascia lata graft – a new technique.Techniques in Foot and Ankle Surgery. 2017; 16(1): 33-40. Hood CR, Miller JR. Intramedullary rodding of a toe – hammertoe correction using an implantable intramedullary fusion device – a case report and review. Foot and Ankle Online Journal. 2017; 9(4):1. Hood CR, Miller JR, Eldridge S, Tran M. The annular verruca plantaris in cantharidin use – a case report.JAPMA. 2018; 108(2): 189-193. For more information about Dr. Hood, please click here.